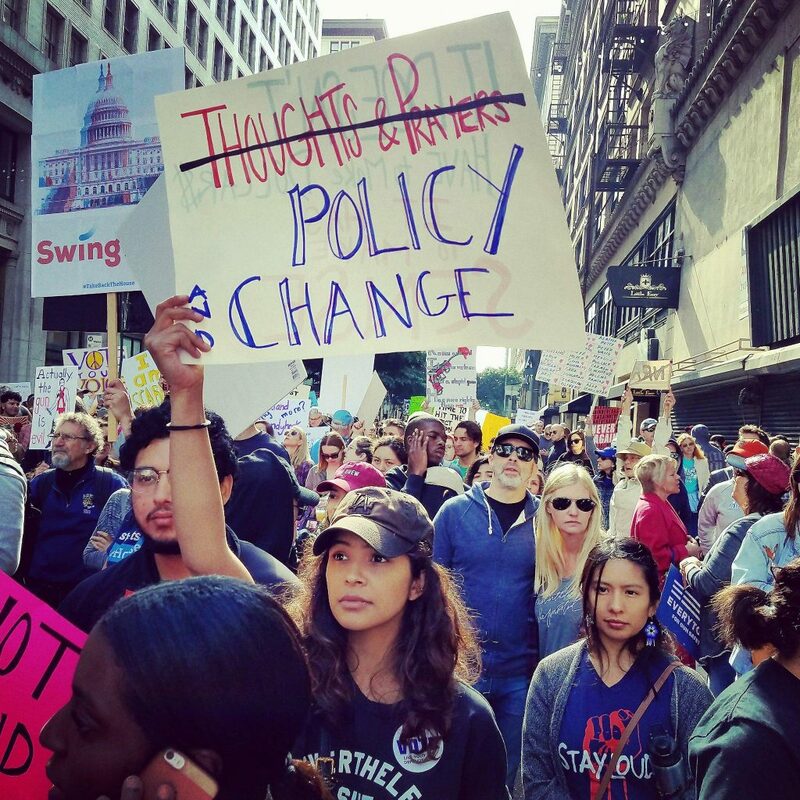 So Cal members of the National Writers Union (NWU), along with an estimated 80,000 more, attended the youth-led March For Our Lives rally in downtown Los Angeles on March 23. 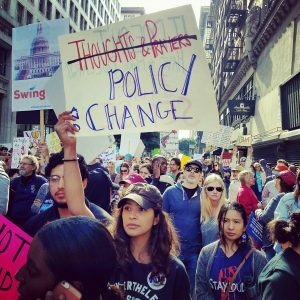 In other areas of the country and around the world, millions of supporters turned out, including more than 800,000 at the march’s ground zero in Washington D.C. The event was organized in only five weeks by the survivors of the Parkland, FL, school shooting, where 17 students were slaughtered by a gunman using and AR-15 rifle. 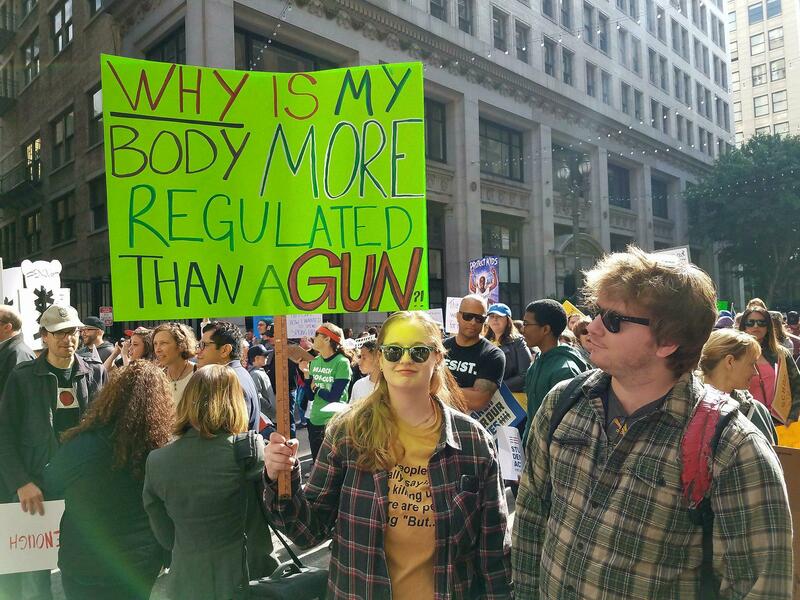 In LA, marchers gathered in front of Los Angeles City Hall and demanded an end to school violence, called for the need for gun control, opposed the National Rifle Association (NRA), and chanted “rise up” or “vote them out,” referring to politicians who controlled by the NRA. Speakers, including Los Angeles Mayor Eric Garcetti, and NWU members Ismael Parra, Miguel Roura, and David Trujillo also participated. At the event, Parra told several young people that it was good that they brought their parents along. Everyone had a good laugh. It was indeed an important statement. Youth, parents, grandparents, of all colors joined from the great LA area, demonstrating the importance of diversity in struggle. 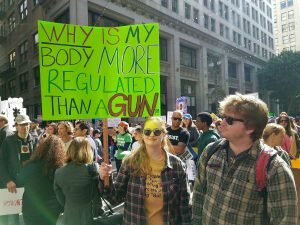 “I saw such a great balance of age, mothers, teens, grandparents, this shows the maturity of the youth leadership to get everyone involved,” said Roura, a writer and activist. He had been an active participant in the East LA walkouts of students 50 years earlier. Mayor Garcetti identified the connection and great contribution of past student struggles and student walkouts in Los Angeles. Various labor organizations and community groups were represented. Young people comprised the majority of speakers. Many in the crowd carried signs that read: Am I Next, Enough is Enough, and Veterans against assault weapons.